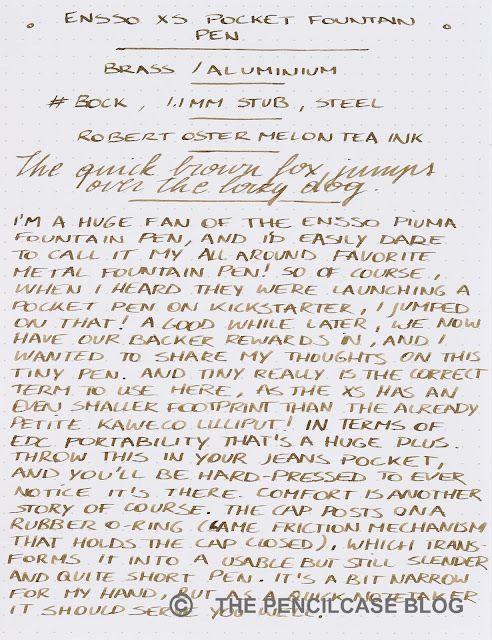 As you might well know, I've become a huge fan of metal fountain pens over the years, and the Ensso Piuma (review HERE) is easily one of my personal favorites. 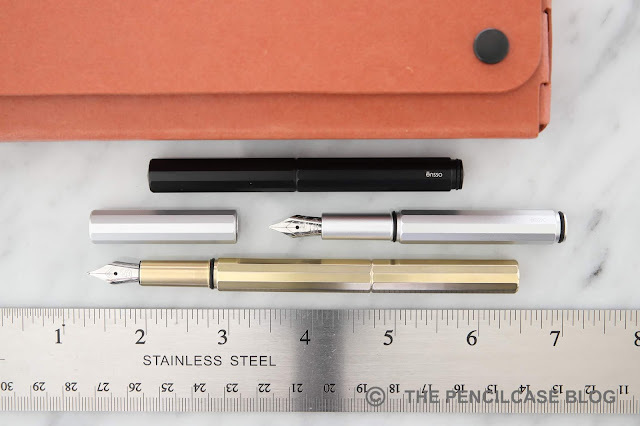 This relatively young US-based brand launched a new fountain pen model about a year ago on Kickstarter: the pocket-sized Ensso XS. Even though I'm usually not that into pocket pens, I didn't hesitate long before placing my order. The Kickstarter took quite a while from launch to delivery: a recurring theme with fountain pen projects (more often than not due to nib manufacturers not being able to deliver in time) that you won't hear me complain about. I kind of forgot about it, until a package arrived at my doorstep a few months ago. Along with the brass model I backed, Ensso also sent me the two aluminium finishes and add-on clips to review, so big thanks to them for making it possible to compare the different finishes! The XS is Ensso's first throw at a pocket pen, and they really didn't mess around - this thing is TINY! 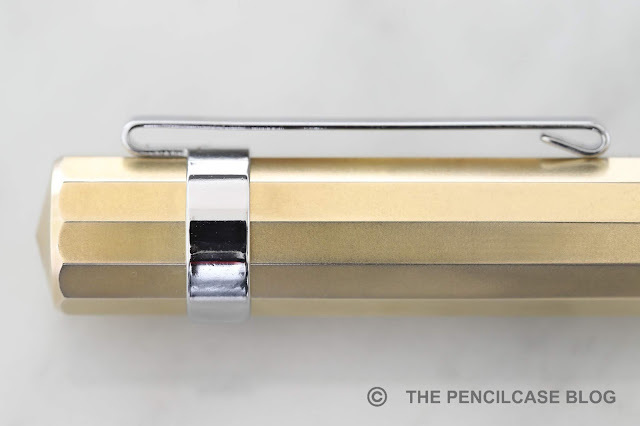 Roughly equivalent to a Kaweco Lilliput, the XS is about as pocketable as it gets, but it has a few distinct characteristics that actually make it a better pen than the Lilliput - with respect to being an EDC type pocket pen, that is. 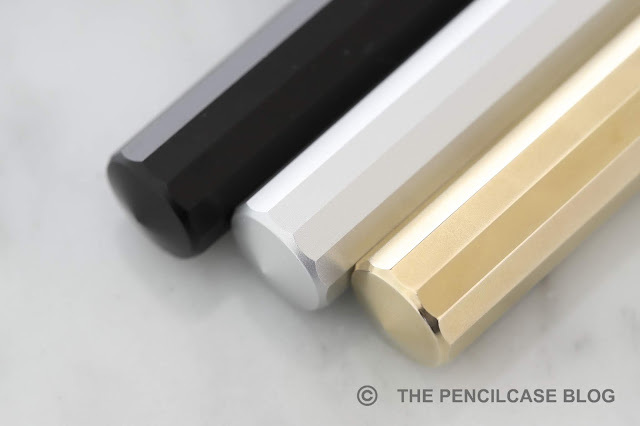 The XS is a compact and thin flattop pen with dodecagonal profile on both cap and barrel. The design is simple and minimalist as I'd expect from Ensso, but it's immediately noticeable that this is a very well-made product. The design is very angular and facetted, but all parts are cleanly machined and polished so it feels smooth and well-built in the hand. Branding is very subtle at the back of the barrel. The overall quality is very much in line with my previous experience with their products. Of course, the main use for pocket pens is taking quick notes and scribbles, and that's where the well-thought out design of the XS shines. The XS has a snap cap that is held in place by rubber o-rings on the section and barrel. The inside of the cap has a machined groove that securely snaps over the rubber o-rings, which makes for a quick and easy uncapping and posting. The O-rings actually do a very decent job keeping the cap in place than I first expected. It's not as secure as a threaded cap, but it sure is a lot faster and less fiddly to use, especially on the go. There has been some talk about the O-rings wearing down faster on the brass version, and I had the same experience. Apparently it has to do with tighter machining tolerances on this metal. They do include a spare O-ring with the pen though, and they are supposedly available from any old hardware store, should you need a replacement. The facetted design also serves its purpose, preventing the pen from rolling all over the place. 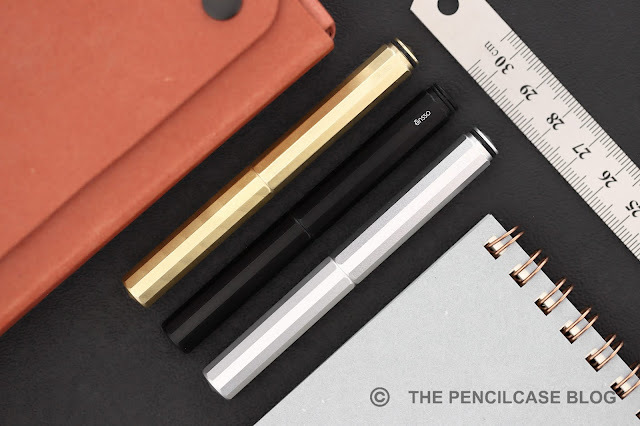 You can buy an add-on clip separately for 5$ if you want the additional portability, but as always I'm somewhat skeptical about removable clips, and I don't find it adds much value on this particular pen - since you'll mostly want to carry it in your (pants) pocket anyway. At a measly 9,5 cm (3,74") capped, it's effectively the shortest fountain pen I can possibly think of. Posting the cap, it transforms into a very decently sized writer, at 13 cm (5,12"). 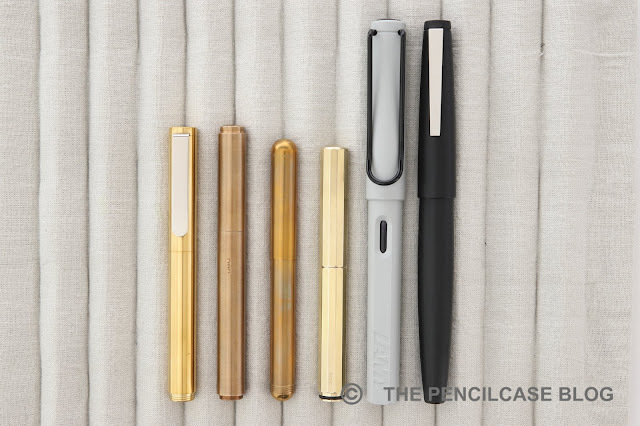 It's not a very thick pen at 1 cm (0,4"), and it's extremely light at just 10 g for the aluminium version. I personally prefer the brass XS, which is considerably heavier at 30 g total. The section isn't huge, but it's certainly long enough to grip comfortably. The O-ring on the section is hardly noticeable, and the step is small and not sharp in the hand. I feel like Ensso did a remarkably good job combining comfort and a small pocketable form factor. While obviously this would never be the first choice in terms of comfort, it's certainly usable even for longer writing sessions. The nib is a stock Bock #5 steel nib, and due to the size of the pen you'll have to stick to standard international cartridges. Bock's smaller nibs aren't my absolute favorite, but they usually work just fine. 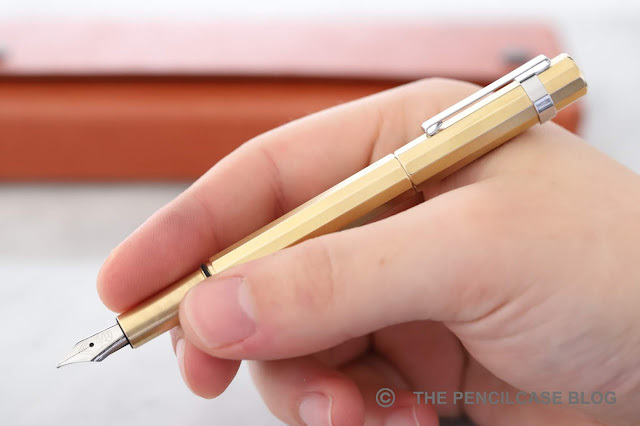 The writing experience is nothing out of the ordinary, but the nib is certainly decent. I was most impressed by the 1.1 mm stub nib, which is surprisingly pleasant to use. It's smooth, offers crisp line variation, and the flow keeps up perfectly. 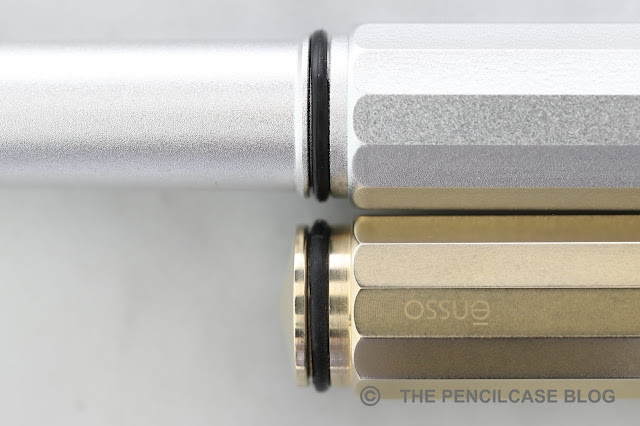 The Ensso XS is a very decent all-around pen despite its impressively small footprint. 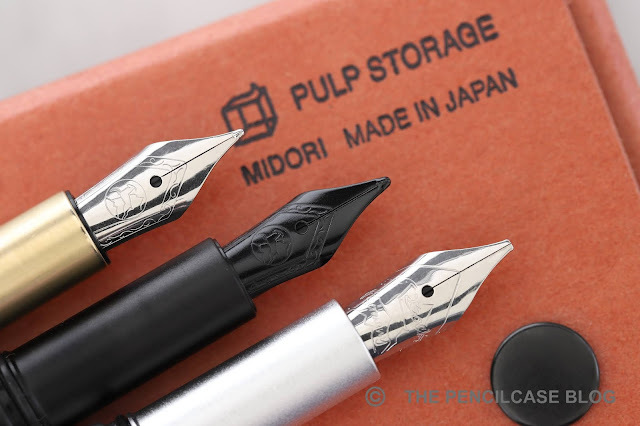 It's well-built and sturdy, and the O-ring system for capping and posting is a major practical benefit over threaded caps that you'll usually find on pocket pens. If you often find yourself needing a small pen to jot down notes on the fly, the Ensso XS is definitely worth a look. 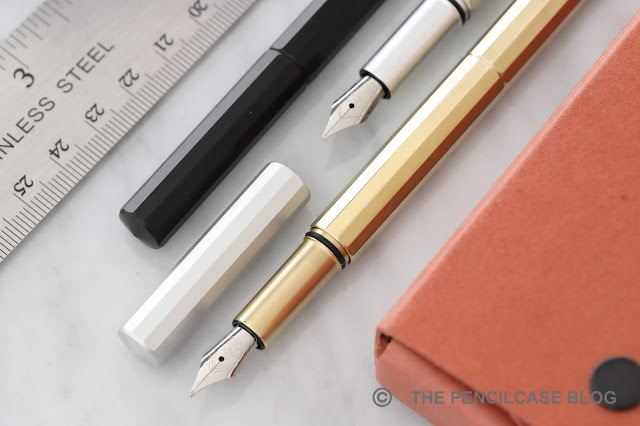 At 59$ for the aluminium and 69$ for the brass version, it's in line with pricing of other pocket fountain pens like the Kaweco Lilliput. Some of these products were sent to me by Ensso so I could write this review. I was in no way influenced in the making of this review, the opinions shared in this review are completely my own! This post does not contain affilate links.